On smaller bid, performance and payment bonds, Goldleaf Surety may be able to help your insured get the bonds they need with just a one-page application through our Short Cut Bond Program. 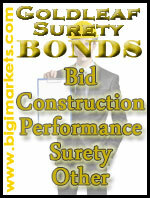 And now, Goldleaf's Short Cut Bond Program has sureties that will entertain up to a $500,000 single and aggregate program. Goldleaf works with a variety of sureties under our Short Cut Bond Program - and each of these sureties has their own unique underwriting requirements. 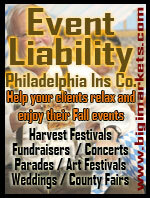 So, even if one surety is unable or unwilling to entertain a particular risk, Goldleaf does have other options. Because Goldleaf has access to several surety markets with similar programs, we may be able to assist your insured even if they have already been denied due to the owners' personal credit scores or the type of work being performed. 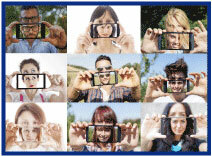 The Millennial Generation: the age group comprised of people born between 1981 and 2000. In other words, the majority of your applicant pool for the next 10 to 15 years. While it may seem simpleminded to lump millions of people into a single category and treat them as a monolithic entity, this is the Internet, and that's what we do! I kid, but if you work for an organization that plans to continue hiring and developing people, it might not be a bad idea to find out what the generational trends are. How well do you think you know Millennials, their views, and their interests? You can start by taking this quiz. You can keep up with Caliper's human resources insights by following the Caliper blog. Learn more about your exclusive Big "I" discount on Caliper services at www.iiaba.net/Caliper. As your clients plan their RV adventures, it is important that they also check the insurance coverage that they have in place for their vehicle. They should give serious consideration to some available options that they may not currently have or that may only be available on specialty RV policies. Total Loss Replacement, Purchase Price Guarantee or Agreed Value may be available, depending on the age and type of RV, to protect your client from an actual cash value ("ACV") settlement in the event of a total loss. Awning Replacement and Custom Equipment Replacement Cost are available options to many who qualify for Total Loss Replacement. 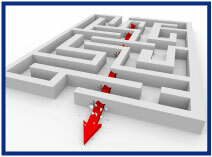 These options allow for settlement of a covered loss without depreciation. Diminishing Deductibles is a coverage option that is hard to pass up. When selected, it decreases the amount of the comprehensive and collision deductibles by 25% for every claim-free year until the deductible is eliminated. Following a claim, the deductible resets to the original amount at the next renewal. Windshield Replacement coverage is offered in many states to protect your client's RV from damaged windshields. This is a tremendous value considering the high cost of replacing motor home windshields. Replacement Cost for Personal Effects coverage replaces personal belongings inside the RV that are destroyed during a covered loss. Clothing, kitchen utensils, and decorative items are a few examples of belongings that can be covered under this option. Valuable Personal Property coverage is available to schedule various types of personal property such as electronics, jewelry, and silverware. Full-Timer's Secured Storage Personal Effects may be available for full-time RVers ("Full-Timers") who leave items in an approved storage facility as they travel. 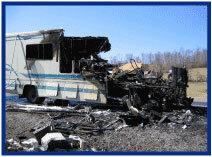 Vacation Liability provides coverage while the RV is used as a vacation residence. Full-Timers Liability, which is similar to the personal liability coverage offered under a homeowner's policy, is a good coverage option when an RVer becomes a Full-Timer. Full-Timers coverage is designed for individuals using their RV more than five months out of the year. Emergency Vacation Expense coverage is an option that reimburses some out-of-pocket expenses that occur when an RV is out of use due to a covered loss. Options are available for both part-time and full-time RVers. Extended Utility Trailer coverage provides protection for utility trailers pulled behind a motor home. As RVers take more of their belongings with them on trips, utility trailers have become commonplace, so it makes sense to include their trailer on the same policy as their RV. Mexico Physical Damage is a great option available to any RVer. This option extends comprehensive and collision coverage into Mexico as long as the insured separately purchases Mexico liability coverage from an insurance company licensed and authorized in Mexico. Take the time to review your client's coverage and be sure they are aware of the unique options available with specialty RV insurance. This level of protection is usually not available with standard auto policies and will bring your clients additional peace of mind so they can focus on their adventures. 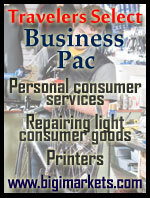 As with all policies, coverage is subject to the terms and conditions of the specific insurance policy purchased. 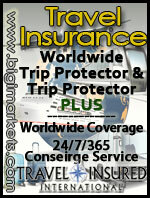 Placing coverage for foreign exposures can sometimes be challenging. This 25 minute webinar will provide you with an overview of the ACE International Advantage product suite and how it offers protection for businesses, employees, independent contractors, volunteers, students and more while traveling or working outside of the country. This is offer by ACE and not a joint webinar with Big 'I' Markets. "15 Minutes Could Save You 15% or More…"
This last week I have spent considerable time behind a windshield and with a radio. Seemingly everywhere are the "15 Minutes Could Save You 15 Percent Or More…" commercials. As the commercial goes, "Everybody knows that Parker…" Of course, I wondered about the numbers so I looked them up. 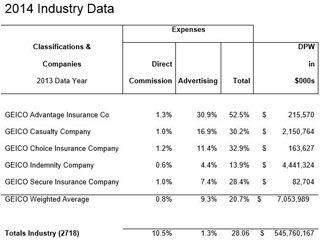 Did you know on the key expense components, GEICO-named insurers actually spend considerably more on advertising than the industry? 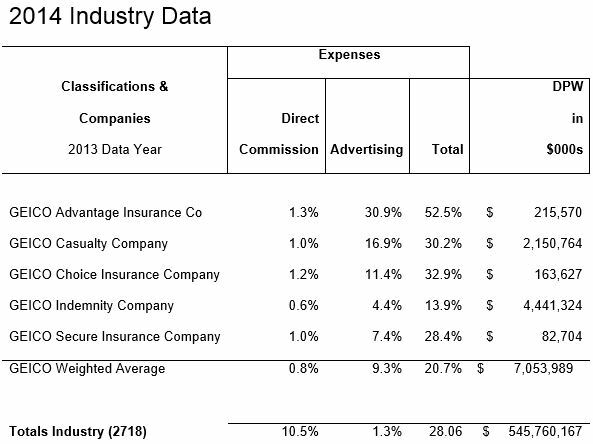 They also spend considerably less on commissions. The question that does not get asked by Parker is, "What drives more economic value to the consumer, funny commercials or Trusted Choice and other insurance agents? Congrats to our agent in Georgia on a habitational apartment sale of $26,856 in premium!